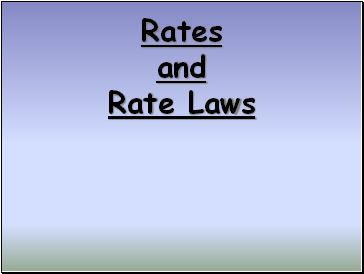 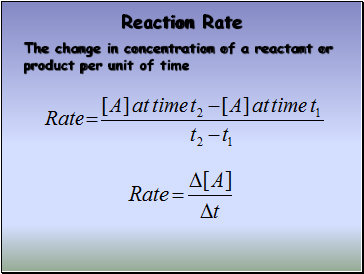 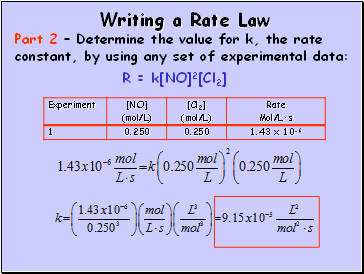 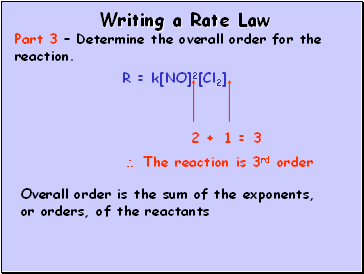 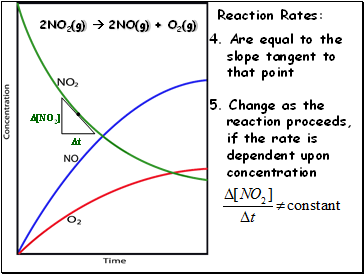 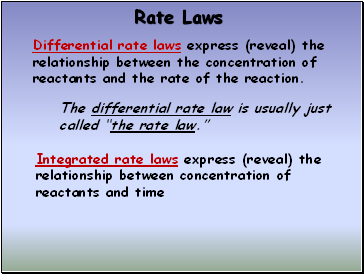 Differential rate laws express (reveal) the relationship between the concentration of reactants and the rate of the reaction. 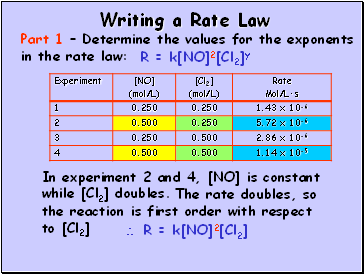 In experiment 1 and 2, [Cl2] is constant while [NO] doubles. 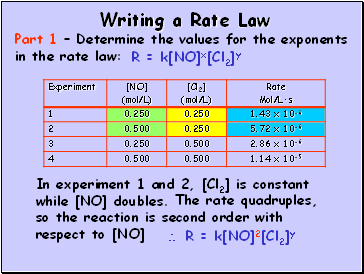 In experiment 2 and 4, [NO] is constant while [Cl2] doubles. 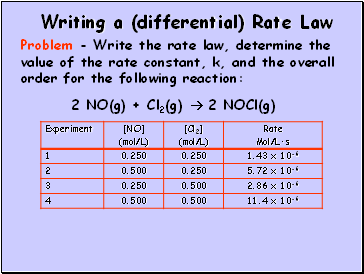 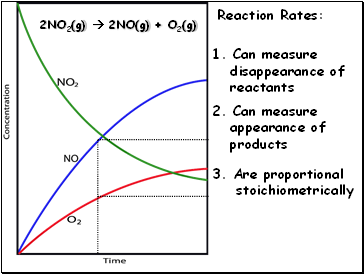 Part 3 – Determine the overall order for the reaction.